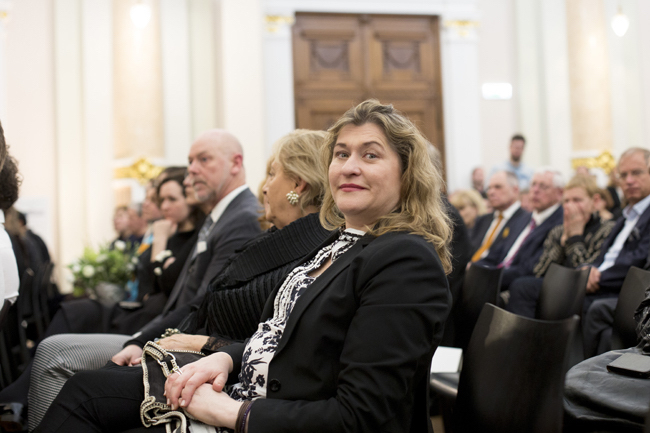 “I can’t wait to include Latvian video art in my Videoinsight® collection,” is how panel member and art collector Rebecca Russo – who has medically proved that contemporary art can heal – commented on the two video works that could be seen in the group exhibition for the 2017 Purvītis Prize. 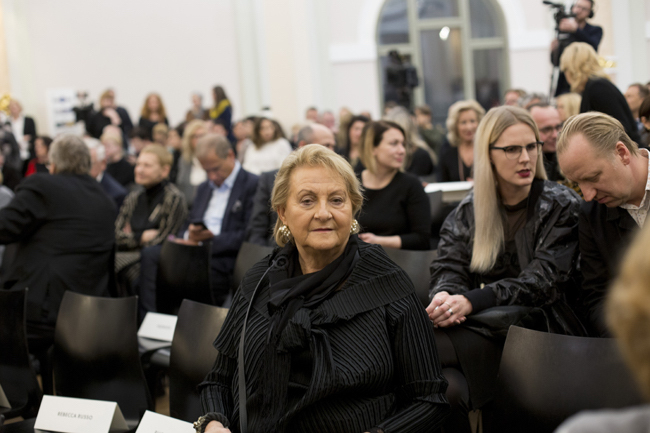 A slew of notable figures from the international art scene were in Riga (16-18 February) for the awarding of the 2017 Purvītis Prize and the opening of the accompanying exhibition. 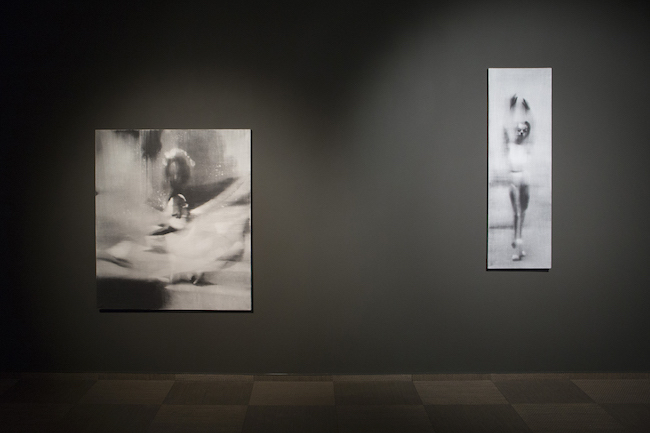 Among them were Thaddaeus Ropac, the renown Austrian gallerist and art collector, for whom the visit to Riga was a first; and Mark Allen Svede, art historian and professor at Ohio University, who studies, collects and writes about Latvian art, with an emphasis on art phenomena from the 1980s and 90s. Arterritory.com interviewed several members of the judging panel, as well as honored guests of the Purvītis Prize events program, about their experiences and thoughts on the weekend’s events. It could be of advantage to both the artists and the organizers of the Purvītis Prize (and its accompanying exhibition*) to listen to what they had to say! I’m happy for the opportunity to be here and meet with the eight nominees for the fifth Purvītis Prize. The works that were selected as being the best were based on their presentations in specific exhibitions; unfortunately, I didn’t have the chance to see them in their original states, however. I only saw how they were adapted for the Great Hall of the Latvian National Museum of Art. 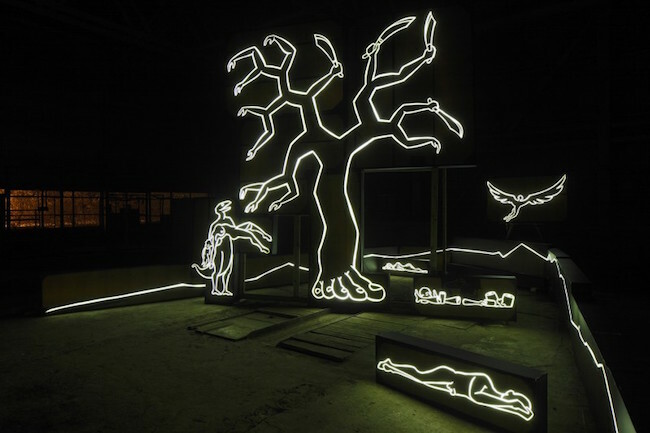 Which is not a bad thing, for it lets us see how well the artists can work in a site-specific situation. The judges had to make their selection based upon only this one work, and even though, for instance, Maija Kurševa’s creative body of work spans several fields – from comics and journalism to street art – in the context of this exhibition, it wasn’t necessary to be familiar with all of her activities. In terms of the nominee group exhibition, I’d have to add that perhaps each one could have used some more space to breathe. There was a certain cacophony in the hall because the audio works overlapped one another. During their stay in Riga, the members of the judging panel had the opportunity to visit some of Latvia’s local artists in their studios. I greatly enjoyed Ieva Epnere’s studies relating to Latvian-Russian identity. We went to visit Katrīna Neiburga and Andris Eglītis, who represented Latvia at the 56th Venice Art Biennale, at their fantastic studio in a former textile factory. We also met with the artist representing Latvia at this year’s Biennale, Miķelis Fišers. It was interesting to tour kim?, and to take a look at Jānis Zuzāns’ private art collection. These last few days have been filled with great insight into the Latvian art scene. 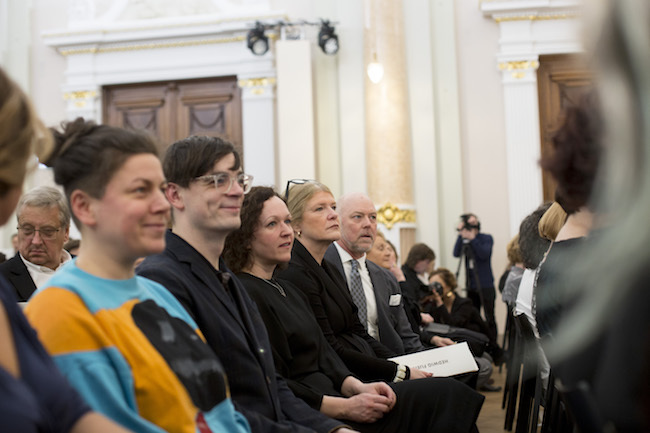 This was my first contact with the Latvian art scene, and although I had, of course, prepared myself for the role of being on this jury, it was very surprising to see how many artists have conceptual approaches. I must say that I was very impressed by the high quality of the artists. I think it is an interesting art scene, one which seems to me very promising -- working on a political level and positioning themselves within society regarding, for instance, decentralization, feminist issues, the body cult, as well as a general dialogue with art history. I think that this discourse is also happening on a very high level. I see the work by the 2017 winners – Anna Salmane, Krišs Salmanis and Kristaps Pētersons – as a very conceptually strong presentation with huge potential for the future. I like their work with this non-material, national legacy – song. I liked the interdisciplinary aspect of them working together with a composer and doing data analysis on how many times the word “God” was mentioned. 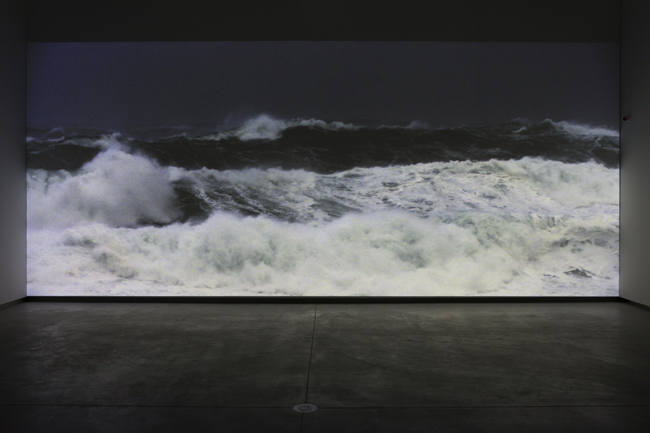 Secondly, I’d like to point out Voldemārs Johansons’ video installation “Thirst”. 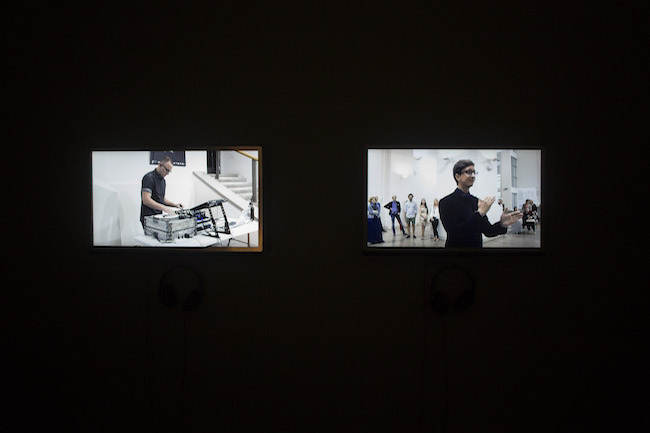 Its technical execution was very good – it was as if it materialized sound. At the same time, I had some doubts because, if we take away the sound – what is left? Just a wave. And what does that mean? Overall, one senses the expression of power and politics in this piece; the wave could also be seen as a symbol of climate change. I’d also like to mention “For My Homeland”, by Ivars Drulle, and “Exercises”, by Kristaps Epners. I liked both works, but they were both overly developed. 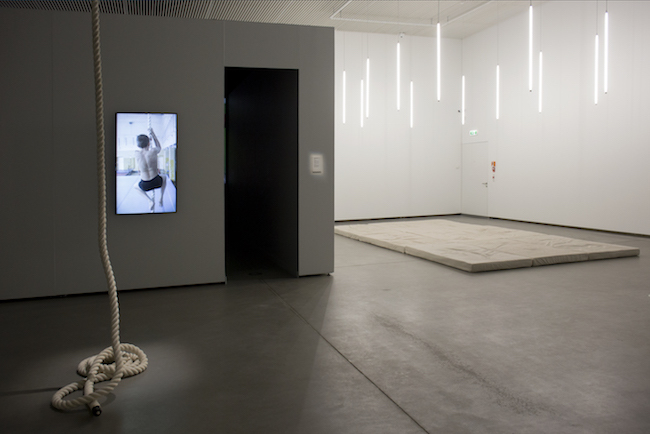 There was something excessive in Epners’ installation – the ropes, the lights, the mattresses… In this case, it was clear that the piece had been created for a specific space, and in the white cube context – it consequently lost something. Drulle’s exposition also had too many works in it. I didn’t like the plastic grass, but I liked the bicyclist and the metal work. And I really liked the documentation of the abandoned building. But it was too much. Perhaps that should have been a decision made by the curator – to take something out. In addition, the balance of sound in the room hadn’t been taken into account – the audio background of one work intruded on the other one. Otherwise – everything was great! I look at what’s happening in Latvia with great enthusiasm. The energy that I felt here, from the very first moment...there’s something clean and magical about it. And not only the artists, but the curators and the people who work in art-related institutions – one can sense talent, effort, and a clean energy in their work. The artworks are great; their quality – surprising. The exhibition is absolutely contemporary; it is a symbol of revolution, evolution and progress. Since I’m especially interested in video art, I found several video works here that truly intrigue me. They have a great concept – they’re original, fresh, and of high technical quality. Epners’ and Johansons’ works fit into my collection. I’m going to talk to them about that! Despite hearing criticism of past competitions, I think that it’s nearly impossible to overstate the excellent administration of the prize process. Over the course of three days, the organizers did a heroic job of shepherding a large and diverse group of personalities — jurists, journalists, curators — through a complex itinerary that not only illuminated this year’s competition, but also (and just as importantly) provided an institutional history of the Purvītis Prize, showcased significant sites of the local cultural industry, and initiated opportunities for future professional relationships. Although there was one winning entry, all eight finalists — indeed, the entire constellation of contemporary talent and infrastructure in Latvia — advanced in terms of international recognition and prestige. 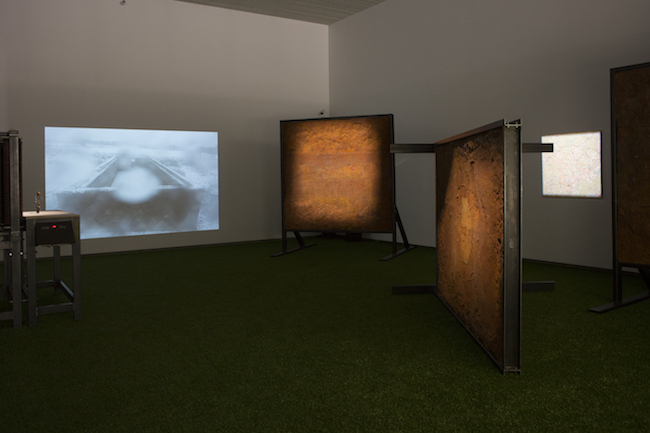 The issues inherent in remounting the nominees’ exhibitions — namely,  re-presenting the past representation of works (even to the extent of transforming performance pieces into video and installation work),  reconfiguring the original configuration of works within a vastly different architectural context, and  having to do so in an implicit dialogue with other artists (who had been altogether absent during the initial iteration) — made for some fascinating jury deliberations. For some of us, our conjectural task was further complicated by an awareness that certain nominated works were not necessarily the strongest realizations of the authors’ ideas. Although we understood that the prize is not a measure of career recognition, the temptation to reward an artist whose ideas seem more evolved, sustained and challenging was unavoidable … and candidly acknowledged. It’s great that the museum uses the newly renovated ground-floor space for contemporary art – it is very suitable for that. The architecture is amazing, and this concrete “highway”, if we can call it that, which leads to the hall, is just wonderful! The space is sufficient for the presentation of the Purvītis Prize artists, and I was surprised at how contemporary the exhibition’s layout was – as were the works themselves. It’s good that the prize is open to all artists, not just the younger ones. I was also surprised at the number of artists – the prize is awarded once every two years, and each time the contenders have been excellent! My favorite is Ivars Drulle – his work gives me a better understanding of this country which I’m visiting for the first time. Kristaps Epners’ works seemed interesting to me, as well as the piece by the performance artist Anda Lāce. Of course, these is just one single work from the oeuvre of each artist. I want to know more! 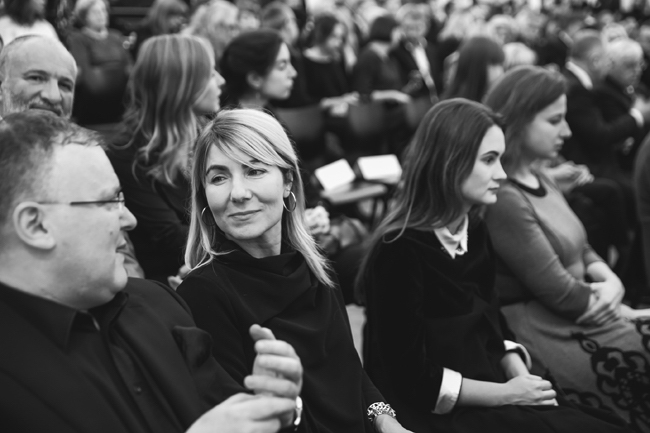 A lot is going on here right now – Latvia is preparing for the Venice Biennale, Andris Eglītis and Katrīna Neiburga were just at the Kochi-Muziris biennial, and soon Riga will have its own biennial and contemporary art museum. Jānis Avotiņš is well known on an international level, and I see no reason as to why Latvia’s artists couldn’t enter the global art scene at a faster pace. I think we see very different artists here. In a sense, they cannot be really compared. Of course, I have my personal favorites, but overall, the whole Purvītis Prize event has been very well and professionally organized. A small critique – I don’t think they found the correct solution for the issue of sound in the exhibition – there’s too much overlap. The works need their own sound space. This, of course, has nothing to do with the artists, but rather with the people responsible for designing the exhibition. Some of the works seemed a bit too overdeveloped. Drulle’s work is extremely interesting, but there’s too much going on. It would only stand to gain if it were done more minimally, since it’s a wonderful project. 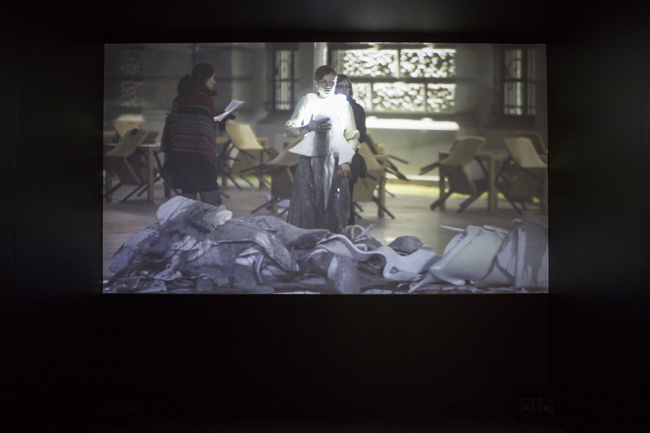 The same can be said about Kristaps Epners’ work – the video itself is so wonderful, such a great work, and that is precisely where the project’s power lies – without any need for the mattresses and everything else, which seem a bit illustrative to me. When visiting the artists’ studios, I was most taken by the works of Ieva Epnere. 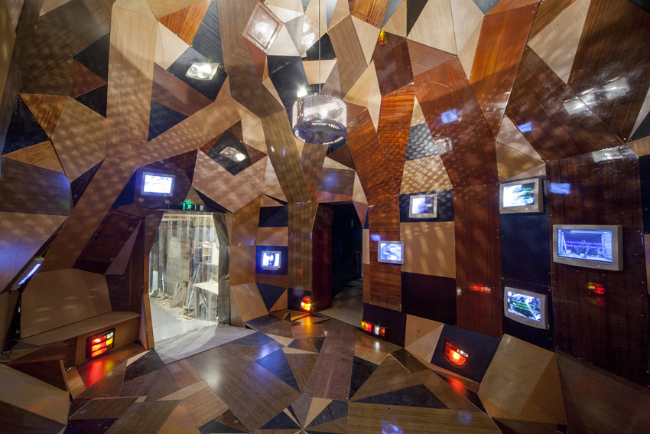 I already knew Andris Eglītis (since he was my student), but I also really liked the Latvian pavilion at the last Venice Biennale – I think it was one of the best. I believe that his cooperation with Katrīna Neiburga was very successful. He’s a very special artist. The artist Miķelis Fišers, who will be representing Latvia in Venice this year, is also interesting; although it’s not exactly to my taste, I can see his world, his own language of mythology and art. Overall, everything was very interesting, but of course, it was just my first introduction to the Latvian art scene. I was very happy to have been able to visit the artists’ studios. At the last Venice Biennale, the Latvian pavilion was my absolute favorite, even though I didn’t understand its context. That’s why it was very valuable for me to see the artists’ studio and speak to them. I’m also happy that I saw the studio of the artist creating this year’s pavilion for Latvia – I really liked what he said. I think I’d be a bit shocked in Venice if it hadn’t been for this meeting and the opportunity to learn a bit more about the project. I believe that the Purvītis Prize is an extremely important event. Since I am an art critic, I’ll say something critical of the Prize exhibition – most of the artists have overdone it. They need a curator who tells them: Do less. But the overall impression from what I’ve seen in this small country – wow! – it’s very interesting! Two years ago I met Una Meistere, who is wonderful! 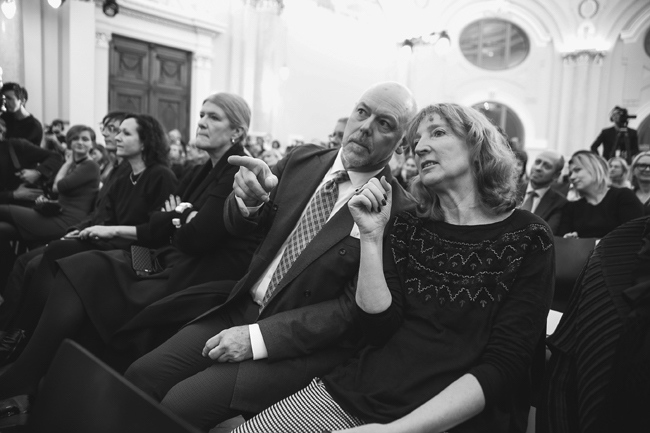 She was a star with her Arterritory Conversations magazine at the viennacontemporary art fair! 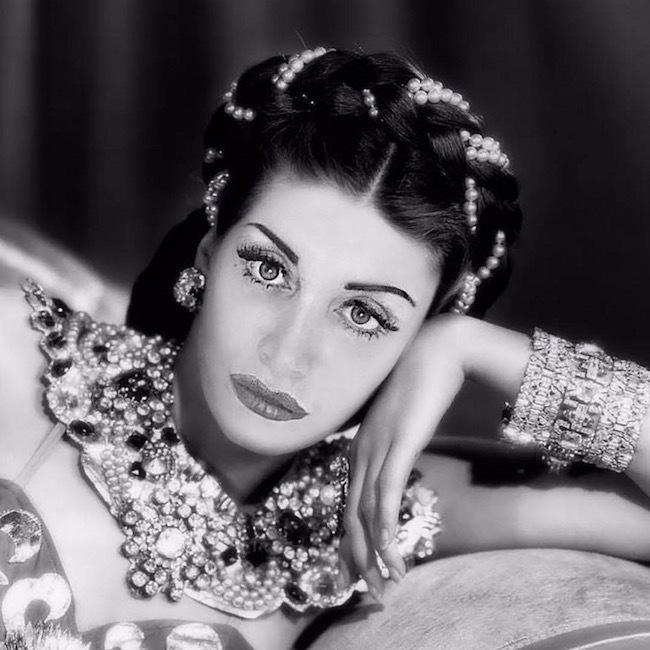 Una truly is an ambassador of Latvia’s culture. I saw several artists’ studios over these two days – I think that the art of Latvia has great potential. The collectors also impressed me very much. I saw Jānis Zuzāns’ collection and the exhibited works. The fact that he supports this prize is wonderful! I didn’t expect anything like this because I didn’t know much about Latvian art before. Speaking about the prize – if I had been on the panel of judges, I would have voted for Drulle. I think he has great potential, and I was almost certain that he would win. I would gladly work with him in regards to my artist residences – I have four: in Vienna, Sri Lanka, Croatia and Hungary. He could choose at which one he’d like to work. 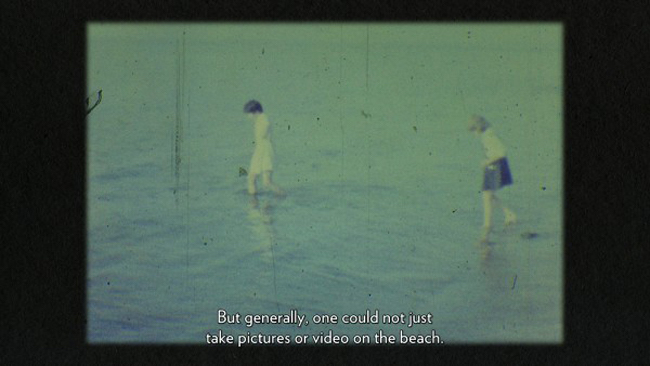 And Kristaps Epners’ video is very good!